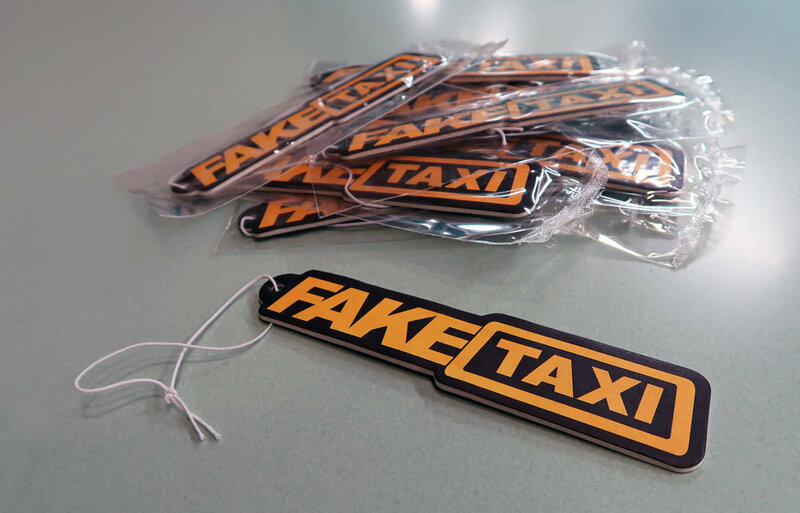 Pack of six Fake Taxi stickers. 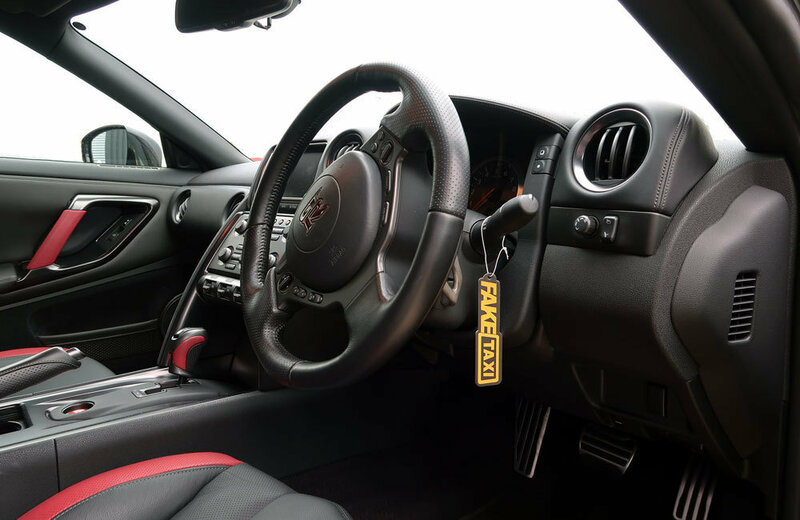 3 x Logo stickers. 23cm x 5cm. 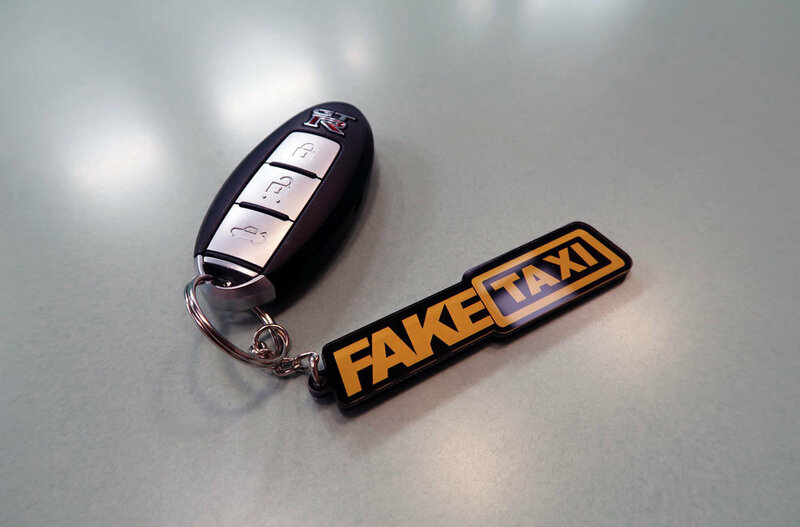 3 x Logo stickers (reversed for inside of windows). 23cm x 5cm. 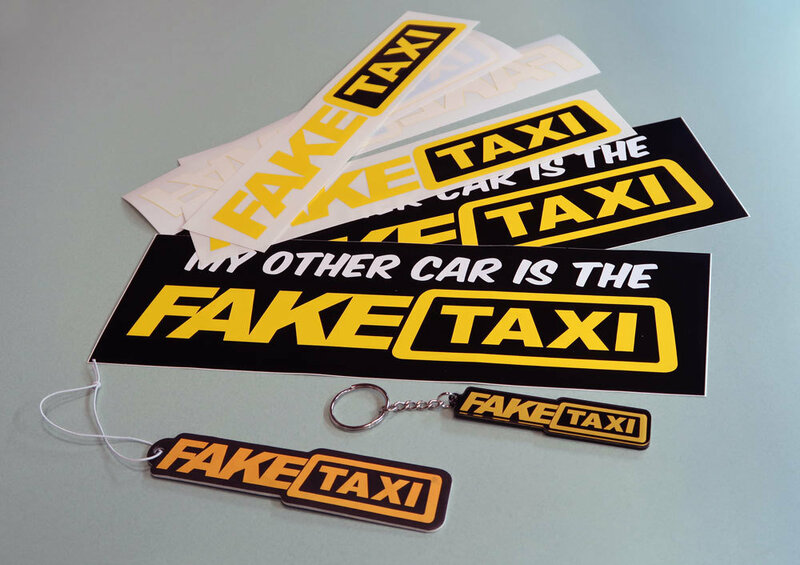 3 x bumper stickers. 27cm x 9cm. 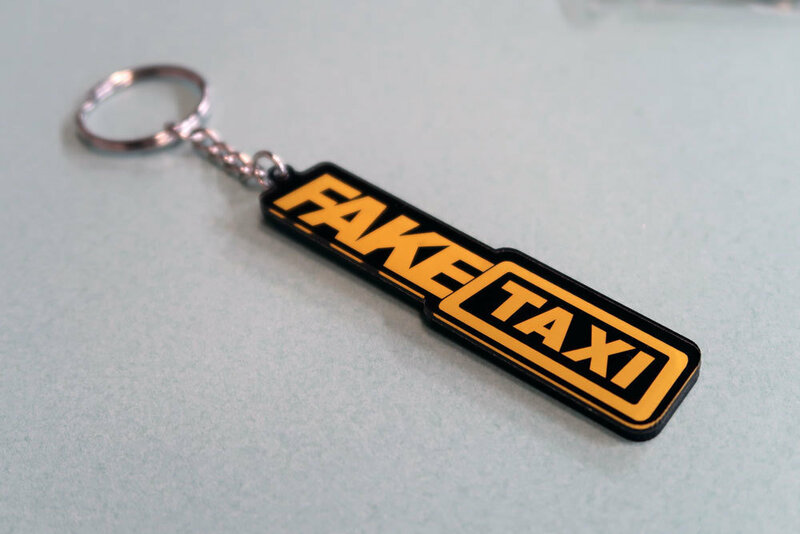 A Fake Taxi key chain and Fake Taxi air freshener.